A friend of mine recently needed some blinds for his window, so we stopped into the local Habitat for Humanity “ReStore.” There he found a brand new set of wooden blinds for only $15. A real win! But winning didn’t stop there. 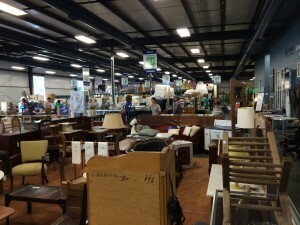 The giant warehouse-sized store in North Carolina with its new and gently-used home items—furniture (even a couple of pianos), doors, windows, washers and driers, lighting, flooring plumbing, and more—was actually an ecosystem of winners. 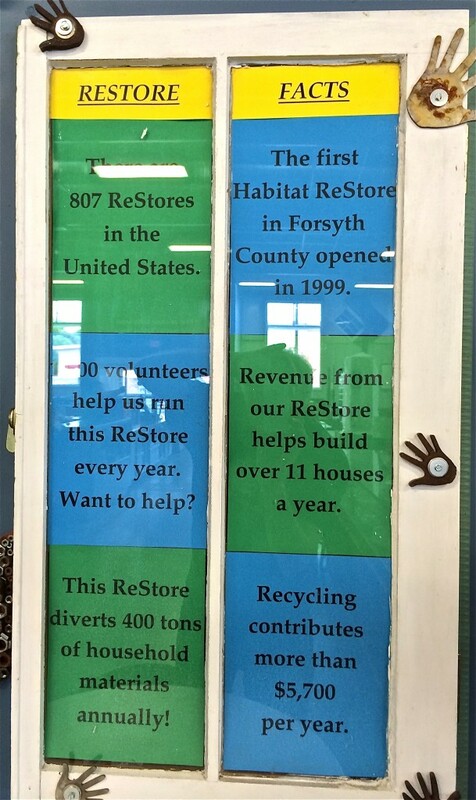 That’s what Habitat for Humanty’s ReStore outlets have created. From its small beginnings in 1976 in Americus, Georgia, Habitat for Humanity has grown to become one of the top ten homebuilders in the United States. And most houses are built in other countries. A brick-and-mortar outlet doesn’t make sense for every cause. But ReStore makes great sense for Habitat. It’s right in it’s space: home construction. The more than 800 stores around the country are owned and operated by the local Habitat affiliates. Customers, also known as bargain hunters, can buy things they need for their home at a fraction of the cost. Furnishing and home repair becomes easier for people on limited incomes. Individuals can donate things they want to move out of the house after spring cleaning or remodeling. Most stores will pick up the larger items. Builders can donate their excess materials and supplies. Or pick up bargains. Companies can also do good by donating excess stock or other items (and get a tax break). For example, in a two-year period, Whirlpool donated $10 million in appliances to ReStores. Low-income families win as they move into a house built by themselves and volunteers, and funded in part with the revenue of ReStore sales. Of course, that’s the reason Habitat exists. The local environments are improved as recycling diverts tons of materials from landfills each year. The opening had special significance for me, having grown up only three blocks away from the store. It’s an area that is downtrodden and economically challenged. The number of boarded-up houses and businesses grows every year. But our community is beginning to see resurgence. Habitat Buffalo’s ReStore is the first business to open in the area in a long time. 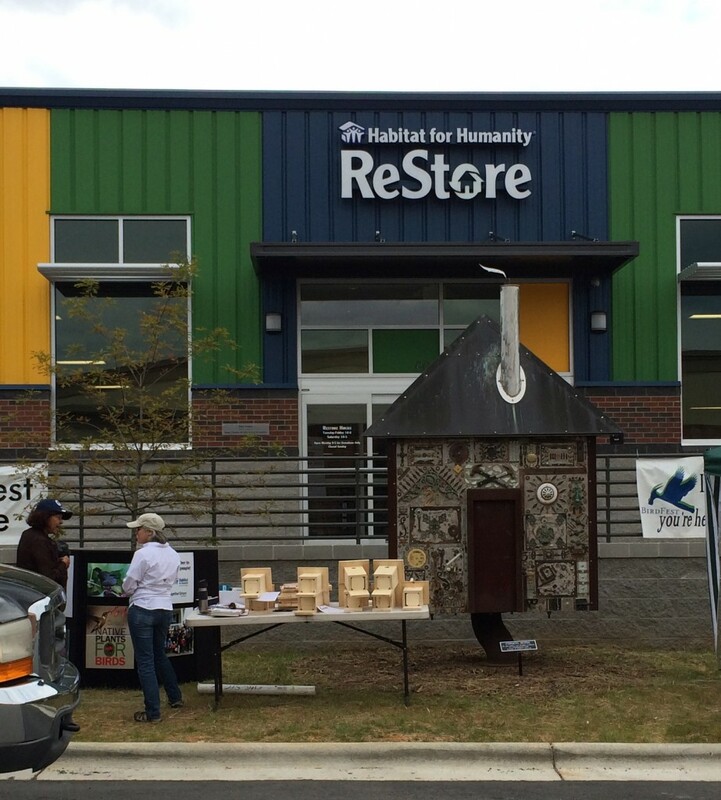 Since our doors opened, the ReStore has provided more than just home furnishings and improvement materials to the public. It’s provided people with some hope that local commerce is returning and that the economy in this area is getting better. Also note that ReStores are run by their local Habitat chapter and can vary quite a bit. In the last couple of weeks I’ve visited two stores in different states. One of them (described in the first paragraph) inspired greatly, the second, not as much. Of course, the Habitat for Humanity house building program is another is another winner ecosystem. Volunteers get to literally roll up their sleeves and build something, a do-gooder’s dream. At the end of the day, they can see what they’ve done. They can also learn building skills to use on their own homes. Deserving Low-Income Families add a great deal of sweat-equity, putting many hours into their building their homes. They also pay a mortgage. And they end up with a new, affordable home. Communities are helped as targeted neighborhoods see new life. Companies can donate goods and engage their employees, and the list of winners goes on. So, how do you create an ecosystem of winners for your cause or organization? What allies or new strategic partners could be brought into the mix? What’s something you could develop that could create a mutual exchange of benefits? How can you make lots of people happy in a way that supports your cause’s efforts to do good?